... What was happening in 2011-2012? Europe was doing a lot of austerity. But so, actually, was the U.S., between the expiration of stimulus and cutbacks at the state and local level. The big difference was monetary: the ECB’s utterly wrong-headed interest rate hikes in 2011, and its refusal to do its job as lender of last resort as the debt crisis turned into a liquidity panic, even as the Fed was pursuing aggressive easing. 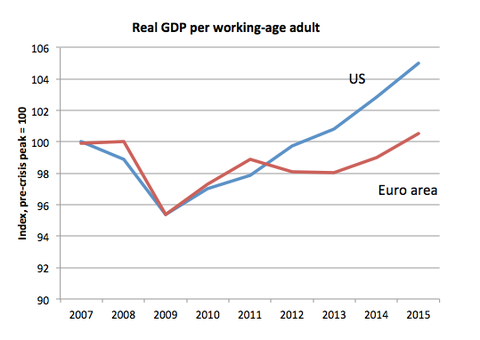 Oh, and America might have turned European too if the Bernanke-bashers of the right had gotten what they wanted. This is from the McKinsey report I referenced yesterday — I have to take a closer look at it, as it strikes me as an odd structure for driving equity . . . 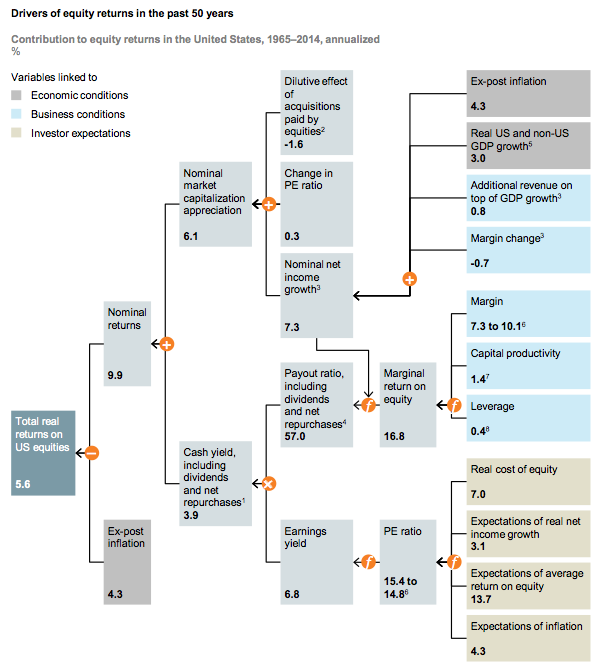 The post Drivers of Equity Returns in the Past 50 Years appeared first on The Big Picture. Pro Growth Liberal: Could A Higher Minimum Wage Increase Employment? Live from the Mid-Twentieth Century: George Orwell: 'If one harbours anywhere in one's mind a nationalistic loyalty or hatred..."
Daniel Davies: Antisemitism in the Labour Party – what’s going on? ...consumers are attracted to an aggregator through the delivery of a superior experience, which attracts modular suppliers, which improves the experience and thus attracts more consumers, and thus more suppliers in the aforementioned virtuous cycle. It is a phenomenon seen across industries including search (Google and web pages), feeds (Facebook and content), shopping (Amazon and retail goods), video (Netflix/YouTube and content creators), transportation (Uber/Didi and drivers), and lodging (Airbnb and rooms, Booking/Expedia and hotels).... All things being equal the equilibrium state in a market covered by Aggregation Theory is monopoly: one aggregator that has captured all of the consumers and all of the suppliers.